machine screws w/assembled washer ** Machine screws with assembled washer or washers permanently attached under the head in both METRIC and INCH sizes. Square Cone washers which fill the need for a double SEMS, flat washer and split lock washer double SEMS, external tooth lock washer, internal tooth lock washer and split lock washer. Hard to find items our specialty. Shopping is easy and delivery is fast. We believe that we have the largest inventory of Torx® Drive, 6-Lobe Drive and Star Drive screws on the PLANET. Have you always wanted to own Torx® Drive screws, which are reported to be 5 times better than Hex, but could not afford them? Now is your chance! Click on the button and give your name, address and phone number to get your paper catalog mailed to you. Search our Store for a specific fastener or browse the store catalog index for other industrial fasteners not shown above. The SEMS in SEMS Screws is a registered trademark of Illinois Tool Works (ITW). They were originally developed and patented by E.C. Crowther in the 1930's for the company. The name is not an acronym, but instead comes from "pre-asSEMbled washers and screws." The last 's' is added at the end to denote the plural version (since these are commonly purchased in bulk). Specifically we have on this web site for your shopping pleasure, metric size and inch size SEMS screws. In the Metric size we have the traditional Phillips Drive and Pan Head but we also have the Torx Drive, Pan Head SEMS screws also. In our RoHS Compliant line, both drive systems are available in steel, with either Zinc Clear Plating or Zinc Yellow Plating. We also have steel SEMS with Black Oxide and Wax that is RoHS Compliant. In stainless steel we have plain finish (impurities have been removed through the passivation process), as well as Black Oxide and Wax. 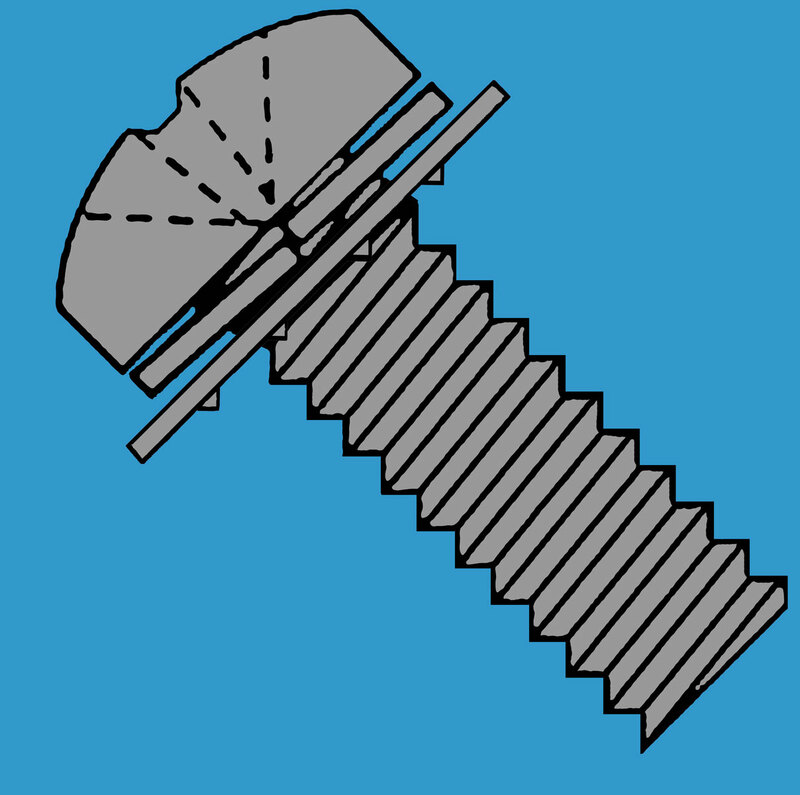 We have essentially the same cadre in the inch size SEMS Screws. To illustrate the depth and breadth of our offerings of Metric SEMS, we have provided a page with our Catalog for your perusal (should you not have Adobe Acrobat, please download the Free Adobe Reader first). This page provides all of the Body Sizes and Lengths that are readily available along with the Torx Socket Driver size, the head dimensions and the Catalog/Part Numbers. Another page at Flat Washers Sizes gives the range of flat washers that are available. When you pick a specific part number you can then put the number in the search engine at Search Database and the description that is retrieved from the database will specify the flat washer outside diameter (OD) and the thickness (THK) for that particular catalog/part number SEMS. Hard to Find SEMS Screws our Specialty; Fast Delivery. Should you order something that is currently out of stock, we will find it for you or we will make it for you. All of the items in our database are normal stock items and are generally in stock. Credit cards are accepted. These items are normally sold in quantities of 10,100, and 1,000 (or multiples thereof), but discounts are given for full carton orders. Our costs are minimized when we reduce or eliminate sorting, counting and re-packaging of the product. We then pass this savings on our products directly to you the consumer. 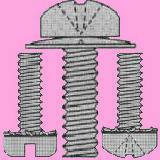 For other types of screws go to Aaron's General Store and click on the hot links for many other options.